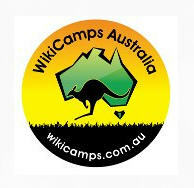 Australia is the driest inhabited continent on earth which means that when you’re traveling around Australia, storing water when camping is an important part of your planning. If you’re traveling through or visiting some of the more remote parts of Australia, running out of water can be life threatening. You simply cannot rely on locating water along the way when traveling through the driest parts of this country. This means that you need to work out how much water you need to carry and where to store it in your vehicle, caravan or camper trailer. 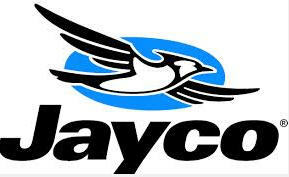 The caravan we use while we travel around Australia is a 18 foot Jayco Expanda Outback with twin 80 litre water tanks. We also have 50 litres of water stored permanently in the vehicle. This may seem like a lot of water but by the time you factor in washing, drinking, showers and cooking, you can be out of water in a few days. A shower alone can use up to 20 litres of water before the hot water runs out so storing water when camping is an important consideration. It’s important to plan out your water consumption carefully, especially when traveling through Australia’s driest areas as reliable and clean water supplies are scarce. We are able to free camp for extensive periods with solar, batteries and gas for our lighting and cooking, however the only limitation we have is storing water when camping. Most caravans have their own water tank that’s been fitted by the manufacturer. 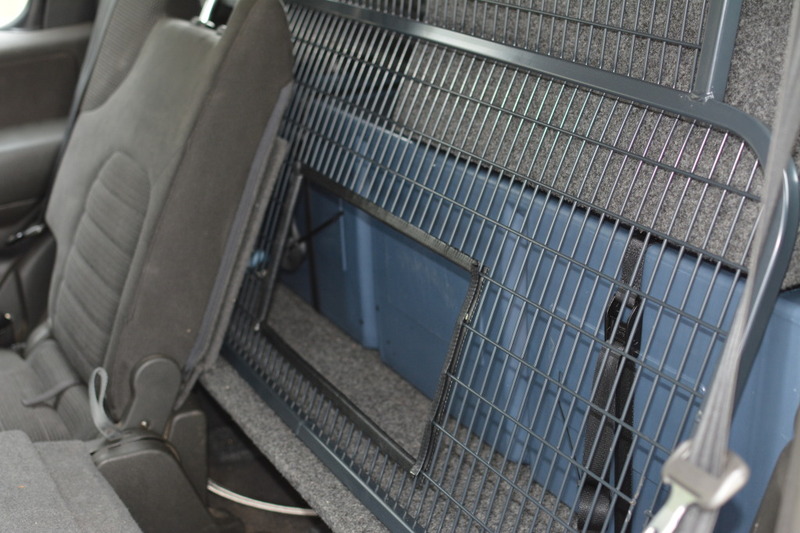 The larger vans have a second or third tank installed which is perfect for longer trips. Having two smaller water tanks is a better idea than one large tank if you’re unlucky enough to have the tank leak or is ruptured. Most duel tanks can be isolated so the van draws water from the one tank first then can be switched over to the second. Doing this also gives you a good indication as to when you’ve consumed half your water supply. If you’re lucky enough to have an isolated third tank and your vehicle can tow the weight, it can be filled from bore water or a river and be used for washing and showering. We often keep an eye out for places we can fill up our water tanks and drink bottles, especially when we are doing days of free camping. 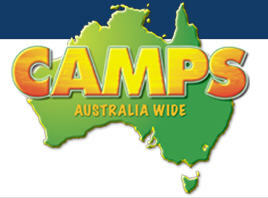 We have filled up at service stations, parks, information centres and caravan parks. We have seen people even filling up their water containers from public toilet taps. Do careful planning on filling up your tanks when free camping. 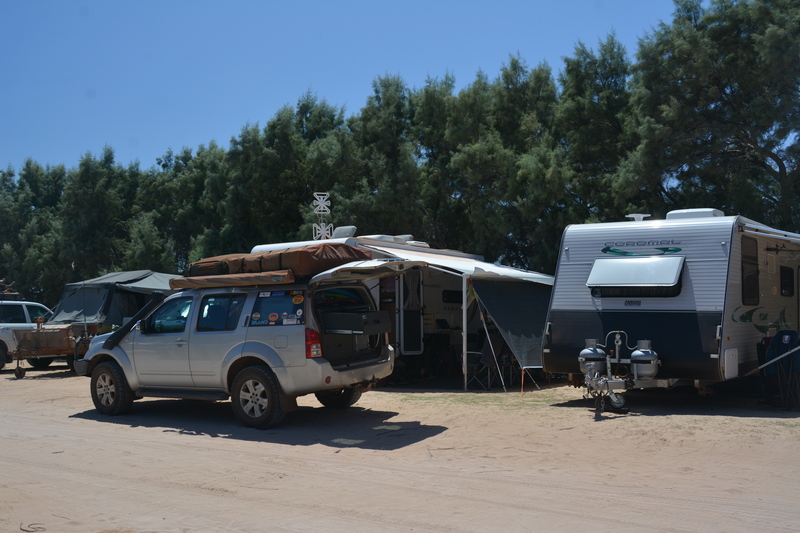 Some caravan parks won’t allow your tanks to be filled and some like Coral Bay in WA don’t even have drinking water taps.to connect to the caravan. There are two taps in the whole caravan park suitable for drinking while all the other taps produce warm salty bore water. Too bad if you were planning on filling your tanks up! An anti vandal tap key that will enable us to turn on taps with no handles are a must have when travelling around Australia and only cost a few dollars from a hardware. A lot of public parks and gardens in Australia will use this style of tap to minimise people from turning the taps on and leaving them running. We also carry spare hose and tap fittings in the caravan because the fittings can be lost or broken as we have found out. A long food grade hose with plenty of length is also important to pack in the van and keep easily accessible for quickly filling up the water tanks. Another good idea is to carry a smaller 6 metre hose with connections that can easily be taken out of the van and used quickly instead of getting the longer hose out. 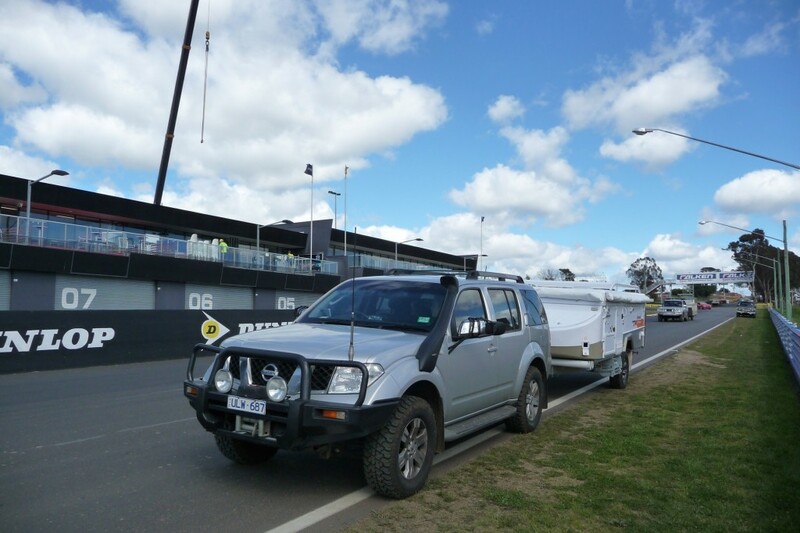 “One slab per person per day!” If you have been to Australia’s internationally recognized and premier Motorsport event, you will be familiar with this phrase. The Bathurst 1000 held in October each year attracts 100,000 visitors to watch the V8s rumble around Mt Panorama. The alcohol restrictions allow one person to take one slab (carton of beer) per person into the event. Luckily there is drinking water at the campground’s toilet blocks to rehydrate after drinking 24 beers a day! Unfortunately, you cannot pull the van up at the toilet block to fill the tanks so fresh water is needed to be carried into the campground. Working out how much water is needed depends on how many people are in the group, the weather conditions, activities that you’ll be doing and the physical condition everyone is in. A good starting point is to have 2 litres of water per person per day. This can be increased to 5 litres per person in hot dry weather. Our family consists of 2 adults, 1 teenager and 2 children which requires approx 9 litres of water per day just for drinking. A daily shower can use 15 to 20 litres of water, 5 litres for washing and 2 litres for cooking. When you start adding the numbers up, the water capacity in the van doesn’t go that far! In fact, if we were all to have a daily shower, our caravan’s water supply would run out within a day. There are ways to minimise the water use, especially in the shower. Wet yourself down, turn the tap off, soap up, turn the shower back on and rinse off. It’s surprising how little water will be consumed. There may be times when you want to unhitch the caravan or only travel with your vehicle. 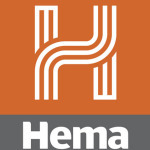 This means that you will need some type of water storage system in your vehicle. If you’re doing a day trip, a full water bottle and a couple of 1 litre bottles of water will be enough, depending on where and when your traveling. I mentioned earlier that we have a 50 litre water storage tank mounted in the rear of the 4WD. This allows us to have enough drinking water for 3 days when using it for washing dishes, drinking and cooking. The water tank in our Nissan Pathfinder is located behind the rear seats and is part of the drawer system. A 12 volt water pump is connected to the tank and can be turned on simply by flicking a switch located near the back of the car. A water tap is also added in case the switch is accidentally turned on. Also added to the 2 metre hose is a connector so I can run another 6 metres of hose which makes the entire length 8 metres. The 2 metre hose is always connected while I store the 6 metre hose under the drawers. This was particularly useful one day when we pulled up on the highway and put out an engine fire in a Landrover. We got to it just in time before the fire got into the fuel system and cab. The electrics, hoses and underbonnet insulation were well on fire until we put it out with our on board water supply. I now carry a camera in the car all the time to capture such moments! There are many options available when it comes to storing water in your vehicle from underbody stainless steel systems, water bladders, large water containers or even 4 litre water containers purchased from the local supermarket. Be aware of where you store the water because adding heavy weight to a roof rack will change the centre of gravity and can weigh more than the roof storage system’s capacity. The last water storage we use is a simple 20 litre plastic container. I’ll fill it up when we travel remotely and then fill it at a service station when we have the van parked remotely and becoming short of water. 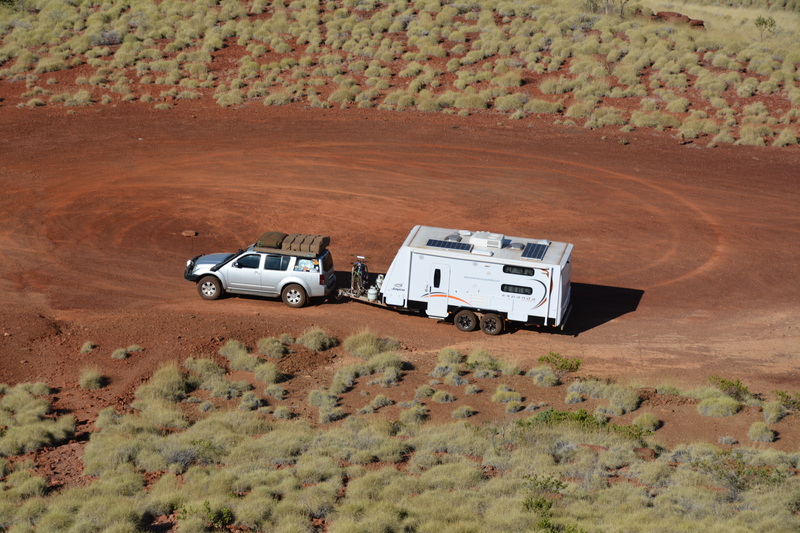 We fill the 50 litre tank in the car plus the 20 litre container and transfer it into the caravan’s water tanks. Storing water when camping is important and cannot be underestimated. This is especially true when camping in the dry remote areas of Australia.